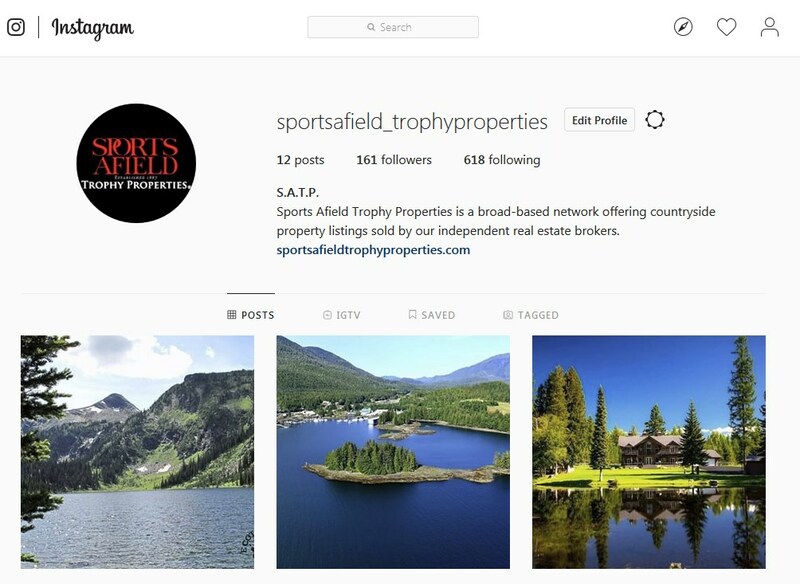 Home News Sports Afield Trophy Properties on Instagram! Posted January 22nd, 2019 by Sports Afield & filed under News. Want to see AMAZING properties? Want to get up close with featured listings? Well if you’re not following us on Instagram already, you should be! It’s where you’ll see beautiful photos of just a few of the amazing properties we have on our site… and more. So check us out now (we’re @sportsafield_trophyproperties) and let us know what you think of our pics — we’ll be sure to check yours out, too!